A British comedian said Thursday that the BBC forced him to rewrite a joke in case it offended the Islamic State. 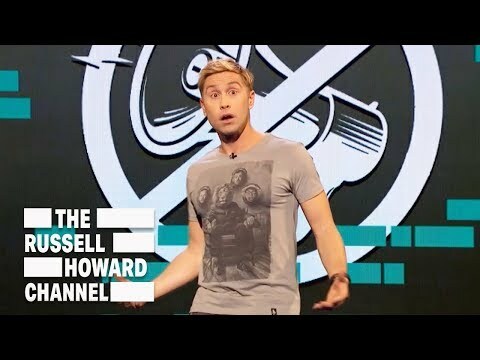 Russell Howard made the revelation during a segment about free speech on his Sky One TV show, “The Russell Howard Hour.” By his account, executives at the public broadcaster, where he previously hosted a comedy news show, “lost their mind” when he joked that the terrorist group “weren’t Muslims,” and forced him redo the performance. He then mocked the BBC by imitating a terrorist writing in to the corporation’s viewer comments department. A BBC spokesman told The Daily Mail that the broadcaster was investigating Howard’s claim. But in the broadcast version of “Russell Howard’s Good News,” the wording “devout Muslims” was indeed used. Although extreme political correctness about Islam has by most accounts relaxed in recent years, the same cannot be said of subjects closer to the heart of the culture wars, like race and gender. Even old jokes made in public can now comeback to haunt comedians, as Chris Rock, Louis CK, and Kevin Hart have recently learned.